Calgary’s city council have approved the full alignment and station locations for the proposed Green Line LRT project. 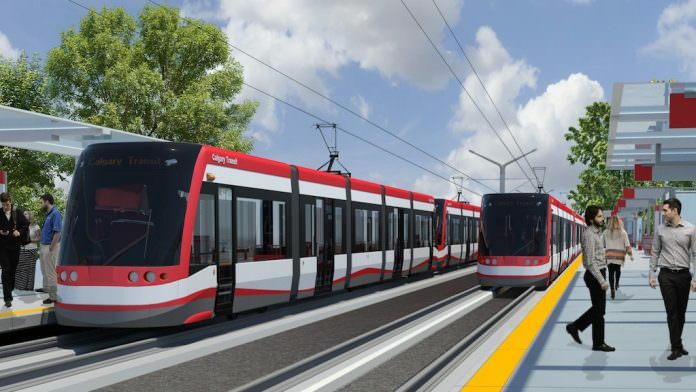 The 46 km light rail route, in Canada, includes 28 stops and will run north-south from 160 Avenue N to Seton. The decision protects the route and will allow construction to move forward as funding is released, according to the City of Calgary. In December last year, $250 million was approved by the Federal and Provincial Government to carry out necessary enabling works. The first phase of the project covers 20 km of the route and 14 stations. Stage 1 will require 70 low-floor trams as well as the construction of a 4 km tunnel beneath the city centre. The full cost of Stage 1 is estimated at $4.65 billion.